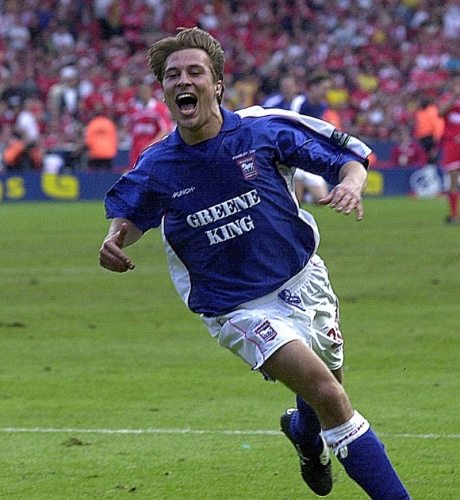 Life’s a Pitch is live on BBC Radio Suffolk from the FanZone at lunchtime on Monday with play-off final hero Martijn Reuser set to join regulars Mark Murphy, legend-in-residence Kevin Beattie, New Tractorboy and TWTD's Phil Ham (12-2pm). Reuser, now coaching Holland’s U16s, is making a rare return to Portman Road for the Newcastle game. Also on the Sir Bobby Robson Day show will be a number of players - in addition to Beattie - who played for the legendary boss either for the Blues or Magpies, who will be taking part in a signing session in the FanZone from midday. What are your memories of Sir Bobby Robson? Were you at Wembley to see Reuser’s greatest moment in a Town shirt? Give us your thoughts on those questions or anything else via email, Mark’s Twitter or during the show by phone on 01473 212121 or text to 81333 starting your message with SFK. Another Legend! wonder what he will make of the football? a little different to when he was here! Although definitely an outer(not brexit)must admit that we are showing signs of less hoof,apart from Bart;and bit more footy on the grass recently. Would like to see Jonny Williams on this grass,so that we have three Welsh International in midfield for this one;but wont hold my breath with Mick still in charge.Hope there is some truth in rumour about Martijn's fellow countryman being coveted as replacement manager.